For a few decades on Nibiru, Marduk* could succeed Alalu, the planetary King there. Anu, legal successor to Lamha as King of Nibiru, let Alalu, who’d killed Lamha, rule Nibiru as an alternative to civil war. In return, the son Anu’s son Enki would begat with Alalu’s daughter Damkina would succeed Alalu as King. 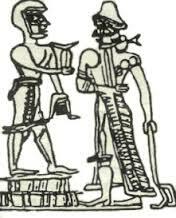 Damkina and Enki begat Marduk. Anu and Alalu the child Heir Presumptive. Enki trained him to rule. 450,000 years ago or so, Anu overthrew Alalu and Ruled the planet. He declared his son Enlil, whom he begat with his half sister, Heir Presumptive. Enlil, not Marduk, declared Anu, would succeed him. 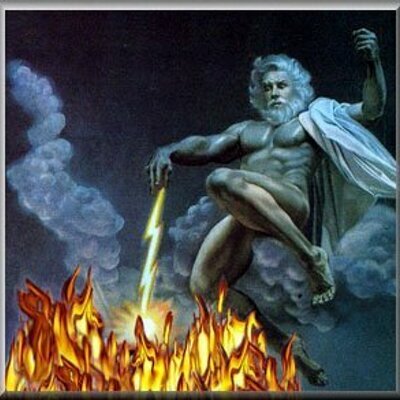 Some 400,000 years ago, Enki ran goldmining operations on Earth. He brought Marduk, now grown, to Earth. Enlil made Marduk boss of the transshipment facility and the Astronaut Corps on Mars. 350,000 years ago, Nibiru neared Earth and brimstones rained on Earth and Mars, loosed earthquakes and volcanoes on both planets, trashed Marsbase and forced the Corps to leave it. So Marduk lost his command. Enki took Marduk to the moon. They surveyed the moon as an alternative base. On the moon Enki gave Marduk vast scientific information. Enki told Marduk he’d help him reclaim his right to rule. In 9780 BCE Enki gave Marduk rule of Egypt and its Earthlings. Marduk divided Egypt between his sons Seth and Osiris. 200 Igigi astronauts occupied the Lebanon Airport, then flew to Eridu. After the wedding, each astronaut seized an Earthling woman. They took the 200 Earthlings back to Lebanon and radioed Enlil: “Bless our Earthling marriages or by fire all on Earth shall we shall destroy.” Marduk, the astronauts’ Commander, demanded Enlil ratify the unions. Both versions say Marduk sent his sister Geshtinanna to subvert Inanna’s African take-over. In Sitchin’s variant, “To Geshtinianna Inanna revealed, ‘A vision of a great nation I have. As a Great Anunnaki Dumuzi will rise. His queen-spouse I shall be. To Dumuzi I status give, the country I will rightly direct.’ Inanna’s visions of rulership and glory by Geshtinanna to her brother Marduk were reported. Inanna knew Marduk made Dumuzi die–though Marduk blamed a subordinate (the “evil emissary”). With techno-weapons, she chased Marduk, who ran through the chambers of the Great Pyramid. He messaged King Anu who beamed Inanna. The King told Inanna that Marduk had weapons that would kill her if she caught him. “Your side, hear we shall, to decide if you or an evil emissary killed Dumuzi,” they told Marduk. 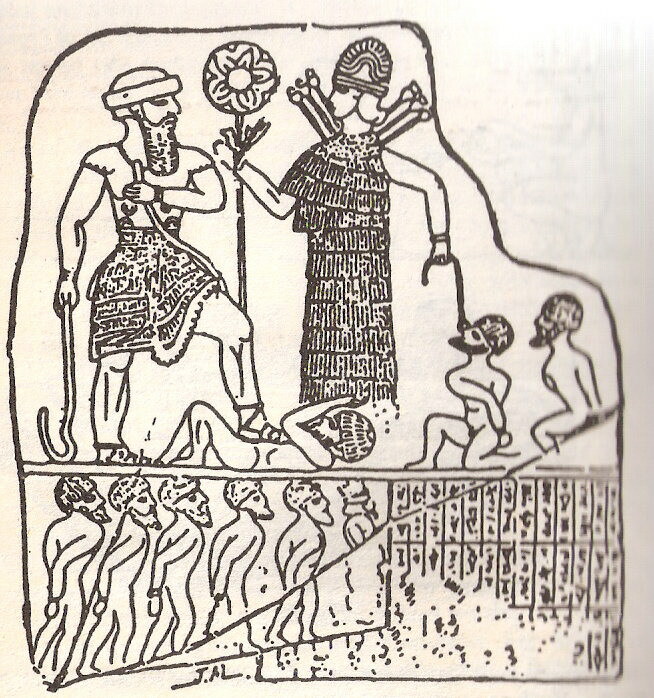 When Marduk came out, the Enlilites assumed Anu would okay conviction and death-sentence for Marduk. They sentenced him to die slowly with air but no food or water in the King’s Chamber of the Pyramid and sealed him in. After awhile, he lapsed into unconsciousness. Anu had Ningishzidda Save Marduk. 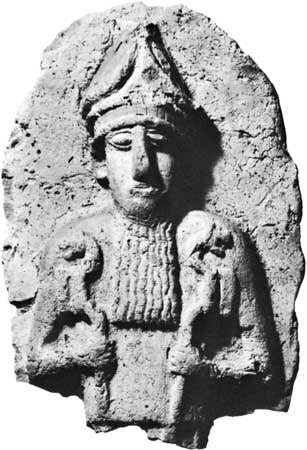 Marduk’s wife Sarpanit and son Nabu messaged Anu to save him. Anu heeded them. Marduk, Anu reflected, carried his (Anu’s) genes through an unbroken line of royal menBAnu, Enki, then Marduk. So Ningishzidda tunneled into the chamber and revived Marduk. The Council banished Marduk from Egypt to North America. In Egypt, they now called Marduk Ra-Amen (Amen = hidden). In 3850 BCE, Nibiru’s King Anu inspected the Earth Project, and at the Peruvian Spaceport pardoned Marduk. Sarpanit had died; Marduk and Nabu moved to Enki’s place in Eridu. In 8670 BCE Inanna and the Enlilites again defeated Marduk and his armies. Marduk and his forces fled to the mountains. Inanna blasted them with “an explosive beam and forced them south.” Marduk, Gibil, Seth, Horon and Enki escaped into the Great Pyramid at Giza. In exchange for a peace treaty, Enki surrendered and replaced Marduk with Ningishzidda as ruler of Egypt. In exchange for a peace treaty, Enki surrendered and replaced Marduk with Ningishzidda as ruler of Egypt. In 3460 BCE Marduk extended Enki’s “base in Sumer at Babylon (within Eridu), as his headquarters.” Marduk had his Earthlings built a “tower whose head shall reach the heavens–a launch tower. Nabu gathered Earthlings and Marduk taught them to make bricks for Babylon, his spaceport. With a spaceport, he’d challenge the Enlilite spaceport on the Sinai. But Enlilites bombed the tower and Marduk’s camp at Babylon and he fled to Egypt. Enlilites scattered Marduk’s Earthlings and gave them different languages and scripts. “Marduk, after a long absence, to the Land of the Two Narrows [Egypt] returned, Ningishzidda as its master he there found.” For the next 350 years, armies Marduk and Nigishzidda clashed over Egypt. Finally, Enki ordered Ningishzidda to leave Egypt to Marduk. Enki hadn’t passed rule of Nibiru to Marduk, but maybe he could settle Marduk in Egypt. Enki gave him computer programs to make Egypt prosper; he gave him all his knowledge except how to revive the dead. Marduk honored Father Enki/Ptah. Enki hadn’t passed rule of Nibiru to Marduk, but maybe he could settle Marduk in Egypt. 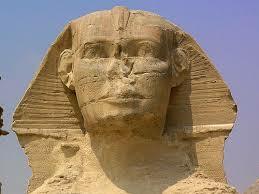 Enki gave him MEs to make Egypt prosper–all his knowledge except how to revive the dead. But Marduk’s Pharaohs yearned to live forever; he said if they proved loyal, he’d mummify and rocket them to Nibiru to share eternity. Thus tempted, they fought to unite Egypt against Inanna and the Enilites. 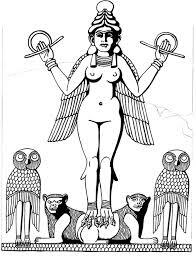 In 2316 BCE Sargon and Inanna invaded Babylon, filled an urn with Babylon soil and planted it in Agade, symboling she’d build her own tower to launch rockets to Nibiru. Marduk returned from Egypt to Babylon. Marduk and Nabu returned from Egypt to Babylon. They fortified the city and diverted rivers to it from the other Sumerian cities. Marduk organized all Sumer’s waterways through his computer in Babylon. He controlled their river travel, domestic water and irrigation water. He told Sumer’s Enlilite Royalty that his water system would end their fights over water, which their growing slave populations needed. But the Enlilites refused to let Marduk control them. They wanted him back in exile. They met in Council and messaged Marduk’s brother Nergal, who hated Marduk, to convince him to come up from Africa to Babylon and get Marduk to leave. Nergal, glad for the chance, planned “to destroy and erase everything his brother had done, especially the control room.” Nergal and his retinue of black Earthlings left Kuth for Babylon. En route to Babylon from Africa, Nergal he visited Inanna in Uruk. Though she was Enlilite and he Enkiite, he allied himself with her against his Marduk. Marduk’s claim to rule all Earth alarmed Nergal. He asked Inanna to help him contain Marduk. Nergal and Inanna sealed their alliance sexually and planned to conquer all Earth for themselves. 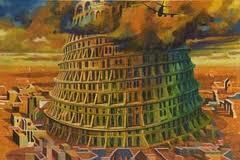 When Nergal left Inanna, he and his men continued to Babylon. There, he told Marduk if he went to South Africa, he’d get weapons and computers and “the instrument for giving orders, The Oracle of the gods, The Holy Scepter, sign of kingship which contributes to Lordship and the holy Radiating Stone which disintegrates all” hidden there since the Flood. Nergal, “foolish and violent as always” broke into the Babylon control room. “Blinded by jealousy and hatred for his brother, he overran the mandate of the Council–to have Marduk leave Sumer.” In “a fit of destruction, defiling and burning” Nergal tore the luminescent radiating stone that gave the system energy from its socket and from its machine links. Marduk’s devices stopped humming. Lights went out. All Sumer’s waterworks froze; fields and canals dried-out, parts of Sumer flooded. Nergal had in his rage paralyzed the fiefs of the very Council members who sent him to oust Marduk. But Nergal didn’t care. Enki confronted Nergal and, angry, ordered him back to Africa. Nergal responded with even greater rage than Enki and, before he left, Nergal burned the gates to Marduk’s temple. Enlil sent Enlilite Champion Ninurta and Nergal to place Abraham and Lot to spy on Sodom and Gomorra, cities Marduk controlled. Enlil feared Marduk, from these cities “would marshal his large number of human followers and control of all establishments on Earth, including the Sinai Spaceport.” Nabu brought cities west of the Euphrates and Canaan against the Enlilites while Marduk’s Egyptians in the south attacked Northern Egypt. Mentuhotep II, Marduk’s latest Theban Pharaoh, took Egypt all the way to the western approaches to Sinai. Though the Enlilite King Amar-Sin sailed to Sinai to block Marduk’s Egyptians, he defected to Enki and became his priest in Eridu, Enki’s cult center in Sumer. In 2025 BCE Marduk menaced the Spaceport. Abraham and Lot told Ninurta and Nergal the cities of south area of the Dead Sea defected to Nabu. Enlil evacuated the Igigi from the Sinai and sent Ninurta and Nergal to confirm the report Abraham that Sodom, Gomorra sided with Marduk. Enlil sent Abraham to the Negev, then to Canaan. Ninurta Nuked Sinai, Nergal nuked Marduk’s forces in Canaan. Nabu escaped westward to an island in the Mediterranean. 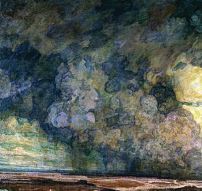 The nuclear cloud blew to the Enlilites’ Sumerian turf and killed all Sumer except Marduk’s Babylon. 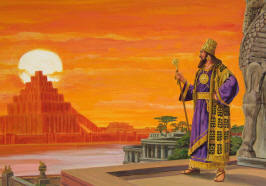 Marduk made Babylon Capitol of Sumer and, around 2000B.C., proclaimed himself God of the gods. Marduk trained priests to study omens with a horoscope that showed how planets–and their namesakes–affect Earthlings. He degraded astronomy in favor of astrology. Under Marduk’s New Age, “gods guided the policies of their countries through signs and omens. For many millennia, Anu, Enlil and the other Anunnaki leaders [had] made decisions affecting the Anunnaki; Enlil by himself was Lord of Command as far as mankind was concerned. Now signs and omens in the heavens guided decisions. Celestial omens–planetary conjunctions, eclipses, lunar halo, stellar backgrounds were sufficient by themselves. No godly intervention or participation was required; the heavens alone foretold the fates. Enlil’s Assyria, north of Babylon, in 1900 BCE attacked Marduk and Bablylon. Ilushuma won the territory down the Tigris all the way to the border of Elam. He liberated Ur and Nippur from Marduk for awhile. The struggle between Babylon and Assyria continued for a thousand years. Marduk’s Babylonian king Nebuchadnezzar overran Enlilite forces in Jerusalem in 587 BCE. Nebuchadnezzer installed a puppet king, ordered worship of Marduk, and took leading citizens of the city as hostages back to Babylon. Nebuchadnezzar deposed the king he left in Jerusalem and burned the temple to Enlil that King Solomon had built there in 586 BCE. Cyrus of Persia, whom Marduk welcomed, conquered Babylon in 539 BCE and returned Nebuchadnezzar’s hostages to Jerusalem. Cyrus’ successor, Cambyses, brought Sumer, Mari, Mittani, Hatti, Elam, Assyria, Egypt and, of course Babylon, into the Persian Empire. In 522 BCE Darius murdered Cambyses and ruled the extended Persian Empire. In 490 BCE Darius unsuccessfully invaded Greece. Then, in 480 BCE, Darius’s successor, Xerxes, unsuccessfully attacked Greece again. Xerxes destroyed the tomb of Marduk, who’d recently died in Babylon. Marduk’s son and prophet, Nabu disappeared. Philip II of Macedonia united Greece in 338 BCE. His son apparent, Alexander, thought Marduk had actually fathered him. 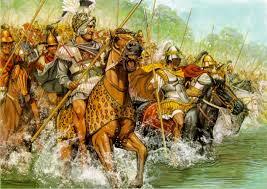 In 334 BCE Alexander conquered the Persian Empire. Alexander invaded the Indus Valley, but his “invasion was stopped by Flying Shields or discoid aircraft buzzing the groups of war elephants that were part of Alexander’s invasion army. Alexander’s generals refused to continue with the invasion of the Indian subcontinent. Alexander turned back to Asia Minor.” [Childress, 2000: 149] He reached Babylon in 331 BCE and rushed to the ziggurat temple to grasp the hands of Marduk as conquerors before him had done. 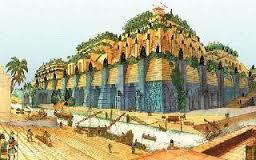 But Alexander saw Marduk’s dead or suspended body floated in oils in his ziggurat. Off Alexander rushed to Egypt, where priests at Siwa confirmed him as Marduk’s son.